Since early 2012, Dara Mitchell has been working with clients in the acquisition and de-accession of major works of American art. Dara joined Sotheby’s American Paintings Department in 1985 after attending graduate school at New York University’s Institute of Fine Arts where she later received her Master’s Degree, and working for the Whitney Museum of Art and the Alexander Gallery. Once at Sotheby’s, she established a reputation for both academic and commercial credibility, helping to guide experienced collectors as well as a new generation of buyers in building their collections. Dara’s twenty-six year tenure in the American Paintings Department saw her differentiate herself as a pioneer in both auction and private sales. Sotheby’s became the dominant auction house in the American field as Dara orchestrated the landmark sales of George Bellows’ Polo Crowd ($27.5 million), Edward Hopper’s Hotel Window ($26.9 million), John Singer Sargent’s The Siesta ($23.5 million) and Norman Rockwell’s Breaking Home Ties ($15.4 million). Over the last two decades, along with her responsibilities for building two auction sales each year, Dara focused on private sales as an alternative to auction. Her emphasis was sourcing and placing the most important examples of 19th and 20th century American art. Through the close relationships she developed over the years with collectors and institutions in Seattle, Detroit, Bentonville, Dallas, New York, Washington, D.C., Philadelphia, and Chicago as well as Asia and Europe, private transactions became a compelling strategy for major market participants. One of the highlights of Dara’s experiences in private sales at Sotheby’s was the 2005 sale of Asher B. Durand’s Kindred Spirits in a sealed bid auction for the publicly-reported figure of approximately $35 million on behalf of the New York Public Library. 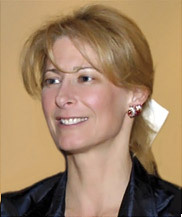 Dara retired in 2011 from Sotheby’s as Executive Vice President and Head of the American Paintings Department. Since that time, she has focused her attention on clients who wish to pursue the discreet purchase or sale of the highest quality works at prices that reflect the context and realities of the marketplace. Transparency is standard operating procedure in all her transactions. With a reputation for integrity and frankness, Dara continues to apply her expertise to the field of 19th and 20th century American art by advising both seasoned and new collectors.